The leading independent specialist for windscreen replacement and windscreen repair based in Warrington and serving all of the Warrington area. National Windscreens Warrington fitting centre provides windscreen replacement and windscreen repair services to businesses and individuals throughout Warrington and the Warrington area. The town of Warrington is located in the county of Cheshire in the North West of England. It is situated on the banks of the river Mersey, approximately 18.5 miles east of Liverpool and 16 miles west of Manchester. 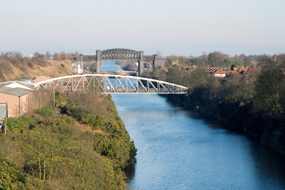 Warrington can easily be accessed from the M6, M62 and M56 - ensuring good connectivity with the rest of the UK. Originally founded by the Romans, Warrington enjoys a rich history and boasts a number of visitor attractions including Warrington Museum & Art Gallery, the Parr Hall and Pyramid arts centre - all based within the Cultural Quarter of the town. The Warrington windscreen fitting centre and its mobile vehicle glass technicians service the needs of Warrington and the surrounding area including Woolston, Great Sankey, Stockton Heath and Birchwood. With 108 fitting centres and over 800 mobile technicians, National Windscreens operates the UK's largest windscreen repair and windscreen replacement network. The company provides low cost, high quality windscreen replacement and windscreen repair from its Warrington fitting centre 24 hours a day, 7 days a week, 365 days a year. Repair and replacement of all types of vehicle glass including windscreens, rear windows and side windows is undertaken throughout Warrington and all of the Warrington area.